Experiential, game-based learning is a fun and engaging way for students to learn. With games, they get to “be” a Supreme Court Justice, the president, a town councilperson… Rather than reading about something in a book and memorizing it, students get to participate which allows them to understand the concepts better. This works for social studies classes, but what about Spanish class? 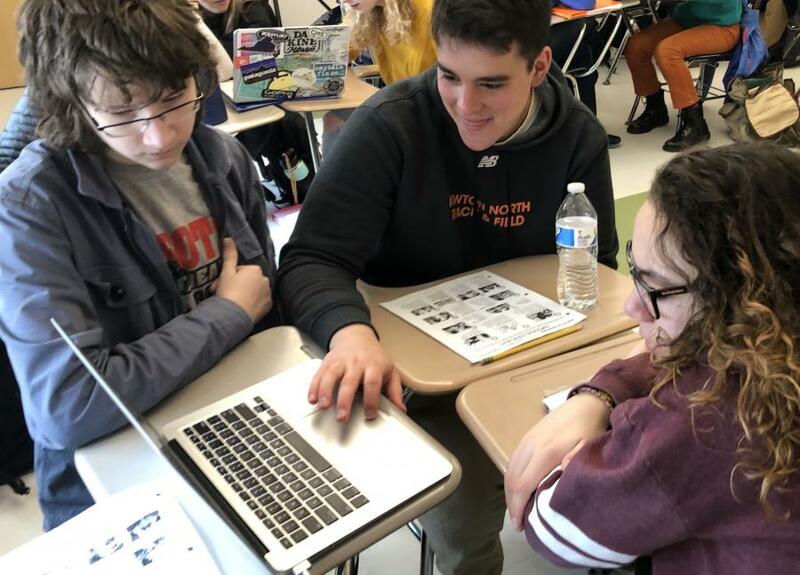 Our ELL Project Lead, Kristen Chapron, was able to visit Ana Tellado-Schiff’s Spanish 4 classes at Newton North High School in Massachusetts. The class was studying human rights and the Declaración Universal de los Derechos Humanos (The Univeral Declaration of Human Rights) - ENGLISH and SPANISH versions. And, guess what, iCivics has a game for that! Do I Have A Right? or ¿Tengo algún derecho?, is the first game that iCivics translated into Spanish. “I was able to walk around Ms. Tellado-Schiff’s class and observe the students playing in groups of three. It was wonderful to hear them all discussing the game in Spanish and figuring out which right applied to each case. Best of all, they were having fun. The time flew by!”, said Kristen. Ms. Tellado-Schiff added that it was a treat to discover this game in Spanish mode since it's rare to find games that require higher order thinking in the target language. iCivics now has two Spanish-language games available (¿Tengo algún derecho? and Nación de inmigración (Immigration Nation) and we plan to have more in the future. ¿A qué esperas? What are you waiting for? ¡Vamos a jugar! Let’s play!